January 20th, 2016: The latest Step White Paper is now available for download. 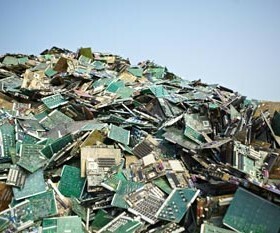 The Guiding Principles to Develop E-waste Management Systems and Legislation resulted from the compilation of a SWOT analysis of 13 existing e-waste management systems and pieces of legislation enacted in various regions of the world, with an emphasis on existing systems in developing countries. 3 countries with active WorldLoop partners – Congo, Tanzania and Kenya – were included in the analysis. The principles were conceived following an analysis of strengths, weaknesses, opportunities and threats, of existing e-waste management systems and legislation, considering common patterns and loopholes, highlighting what currently works well and opportunities for improvement. WorldLoop, a Step member since 2013, together with Philips, Dell, the US EPA, GIZ. UNIDO, RLGA, Datec Technologies, Vertmonde, EMPA and the Basel Convention Regional Centre China developed these recommendations with the intention to provide guidance to stakeholders in developing countries creating solutions for e-waste management.